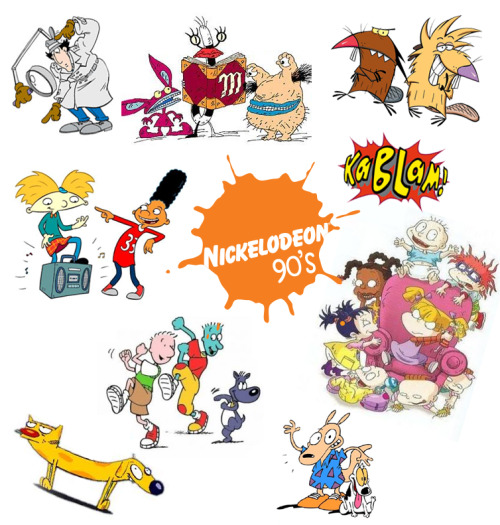 Just today, Nickelodeon supposedly announced that because of their drastic ratings drop since they decided to move away from being cartoon-based, they will return some of their classic cartoons that we grew up on. I’m talking Rugrats, Doug, Rocket Power and Hey Arnold! Starting again on March 14th apparently! EFF YES. This just made my freakin’ week. Oh wait… hold on now. This is one of the crappiest looking press releases I’ve ever seen. Damn it, what a letdown. I remember my friends and I had talked about this for years; about how Nick desperately needed to launch a 90s cartoon network because of the still-strong cartoon following. Being the big SpongeBob fan that I remain to be, still airing that show alone on Nickelodeon is nice, but Nick’s lineup would’ve been beefed up on the ‘roids in a major way. I would have been interested to see whether the cartoons would’ve pick up where they left off age-wise, or if the characters would be older now. Regardless, Nick needs to scrap some of the BS shows they have on Nick. Random shows like Phineas & Ferb and Team Umizoomi… what the hell is that? Sounds like pure horsecrap. The Nick higher-ups made big mistake after big mistake in ending their cartoons. Other shows like Rocko’s Modern Life, Ren & Stimpy, Aaahh!!! Real Monsters, The Angry Beavers, CatDog or even The Wild Thornberrys were all big for our generation. Either way, I think I speak for a lot of 90s kids when I say this hoax is just cruel. I couldn’t wait to set my DVR. I feel like Nicolas Cage in Deadfall right now.